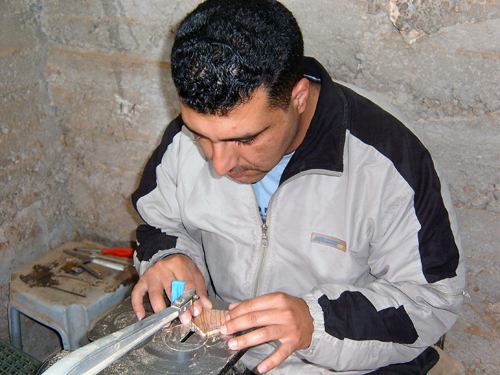 Striving for a better life in the West Bank, the men and women involved with Bethlehem Carvers skillfully find their way through political unrest and financial insecurity. Due to ongoing conflict, tourism has dwindled. This being a main source of income for artisans in the Bethlehem area, their families have suffered tremendously. Bethlehem Carvers allows them to continue this age-old tradition of carving olive wood and into intricate figurines, while marketing products abroad.